Looking for some family fun in Greater Pinehurst, North Carolina? 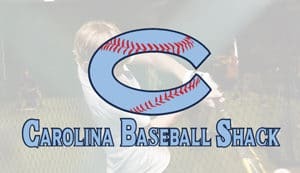 Join us at The Carolina Baseball Shack, and enjoy working on your baseball skills, relaxing while enjoying your favorite sport, and relishing in America’s pastime! Are you ready for some MOORE baseball? Schedule some time to work on your batting skills, or join us at one of our upcoming pitching clinics! Call for more details: 919-624-9236.